A nutrition consultation with our Registered Dietitian, Jocelyn Dubin MS RD may be just what you need to be a healthier and happier you. Would you like guidance on how to change what you eat to improve your quality of life? Are you dealing with a medical diagnosis and want to know how to best keep yourself well with what you eat? Are you pregnant and want to make sure your baby gets the best chance at health? Are you unsure how to help your kids eat well? Are you bombarded with confusing and contradictory information about nutritional supplements and just want someone to make it simple and straightforward for you? Do you want someone to help you makeover your pantry and refrigerator so that you are set up for nutrition success? Are you going on a trip and need some guidance on how to make food choices while traveling that will sustain you for the work you need to do or the recreation you want to enjoy? Do you need someone to come to your kitchen and show you how to cook and prepare delicious and healthy meals and snacks for you and your family? 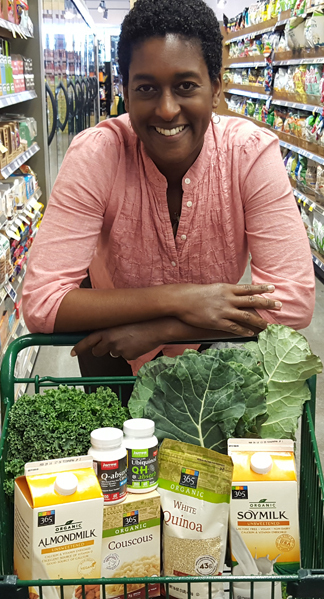 Would you like someone who knows nearly every product available and their corresponding health profile to guide you in making the best choices possible in the grocery store? Do you want to dine out but also want an expert to give you the confidence to know that what you order will also make you feel good? Start feeling like a happier and healthier you, by setting up an in-home, grocery store, restaurant, Skype, phone, or in-office consultation now!